The lush mountainous land and climate in Alleghany provides the perfect conditions for agriculture to thrive. Up until the 1990’s Alleghany was highest per capita for dairy producing farms. Today we are known for Christmas Tree Farms offering prized Frazier firs so perfect that they have been in the White House. Our farming community also raises and produces fruits, vegetables, fresh meats, eggs, honey, cheese, fibers for felting, tobacco, and pumpkins. Visit our local Farmer’s Market and see for yourself the wonders that are produced here in Alleghany. We are the Houser family. Our farm is located in the beautiful Blue Ridge Mountains in the small town of Sparta, North Carolina. We have approximately 31 acres of beautiful earth to play with. Currently, our farm is home to free range chickens, a growing flock of sheep, and rabbits. We also grow seasonal produce. And if that was not enough, we also create hand made wooden gifts. At this time, we are just getting started but we have big dreams. Our goal is to use sustainable farm practices to reduce our environmental impact. Another interest of ours includes natural, herbal remedies as well as using natural, chemical-free products throughout our home. Owned and operate by Clayton Smith. The late William Blan Bottomley and his son, Mitchell, started Bottomley Evergreen Farms in 1990 and it grew into a sprawling operation with fields in northwest North Carolina and southwest Virginia as well as Nevada and Oregon. Things have grown considerably since the beginning, now consisting of vast acres of Frasier Fir Christmas Trees, White Pines, Boxwood, cabbage, pumpkins, and corn. Today Mitchell and his family continue to make this business a glowing homage to his Father and Grandpa. Founded in January, 2011, Chilly Water Farm is located in the Blue Ridge Mountains just outside of Sparta, NC. 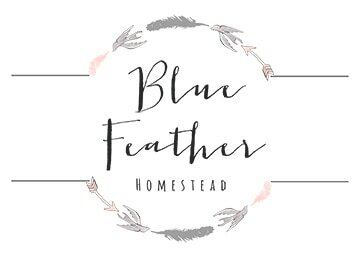 Owned and operated by Kim Brown and Sara Brown Davis, the mother/daughter farming operation raises and sells grass fed beef and eggs from free ranging chickens. Although, not organically certified, Chilly Water Farm follows organic farming practices. We do not use hormones or antibiotics. To purchase your grass fed Chilly Water burger (ground beef using all the best cuts) or to arrange a farm tour to see where your beef is raised, please contact us at chillywaterfarm@gmail.com. Proudly offering delicious & humanely raised meats & eggs and specialty products using local fruits and vegetables. Free Farm Tours - Our animals are friendly, and we have a farm store open at all times for you to purchase our delicious products. For a free farm tour - please call first, and don't bring pets! Our phone number is 336-372-8574. Often the farm is muddy, so please dress appropriately! We offer home processed rabbit to the end consumer, or processed under inspection to the discriminating Chef, as well as American Chinchilla rabbits for show and breeding stock, Champagne d'argent, and commercial New Zealand white and black. Mountain Top Fibers - offers English, French, Giant and Satin angora rabbits for show or breeding stock, as well as the occasional goat, luxury yarns and rovings. Appearing at fiber festivals and venues in the North Carolina/Virginia region, and occasionally in far-away locations!